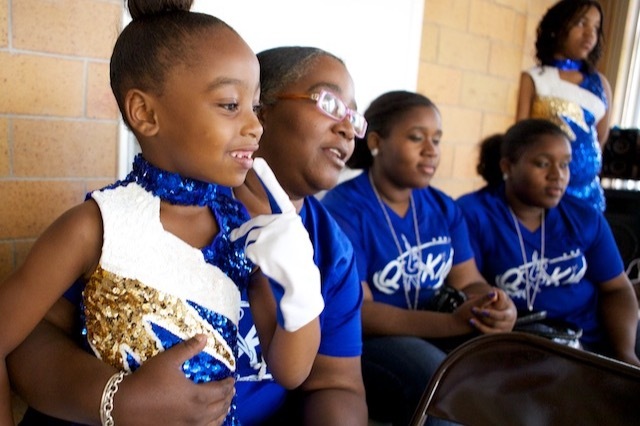 The Q-Kidz Dance Team began 36 years ago in the West End of Cincinnati. The violence in the surrounding housing projects led Marquicia Jones-Woods to look for something that the neighborhood youth could do after school to keep them safe and productive. Q-Kidz is far more than a dance team though. Marquicia -- Ms. Quicy (pronounced Kwee-cee) as she's known to all the girls -- and her 28 year-old identical twin daughters, Mariah and Chariah, who choreograph the dances, devote themselves entirely to these girls currently donate their time 100% as volunteers. Besides teaching them to dance, Q-Kidz provides a safe place to hang out after school, homework help, healthy snacks before and after classes, health and wellness support, team building, leadership training, and meals to take home. Even more, Q-Kidz instills values about the importance of a good education, living drug free, empowerment and stopping the violence in their own community. At the height of class enrollment Ms. Quicy and her daughters worked with 120 girls with even more girls on the waitlist. They didn’t have the space to accommodate these girls and definitely wouldn't be able to accommodate their anticipated growth. Thus, in 2015 the Q-Kidz moved into a dedicated facility so they could have access to adequate practice space and study areas. Fees had to be implemented to pay for studio space, uniforms and programming. Unfortunately, most of the girls cannot afford the nominal fee that was implemented. When Ms. Quicy enforced the fee payment, many of the girls had to quit. These girls are now on the outside looking in, Q-Kidz is part of their identity and they are desperate to be back in the studio but they simply don’t have the funds. As it now stands, only 15 girls can consistently afford their monthly class fees. It’s impossible to run the studio on the amount that these fees currently generate. To help cover the costs associated with each girl, we’ve created a GoFundMe campaign which is part of our effort to raise a total of $150,000. Won’t you please provide a lifeline to these girls by donating to support their membership tuition. We need your help to continue to keep this studio open and classes available for the girls of the West End in Cincinnati, OH. Our goal for 2019, is to reinstate the girls who have been unable to participate due to financial limitations. Help us increase the number of girls served back to 120 who were previously enrolled. Your donation will help cover the cost of tuition, meals, educational support, uniforms, travel costs to perform and compete, as well as extra resources for the girls. Your donation will not be used for salaries or other operational costs. All GoFundMe funds will go directly to support individual girls. Please consider a donation of any size. 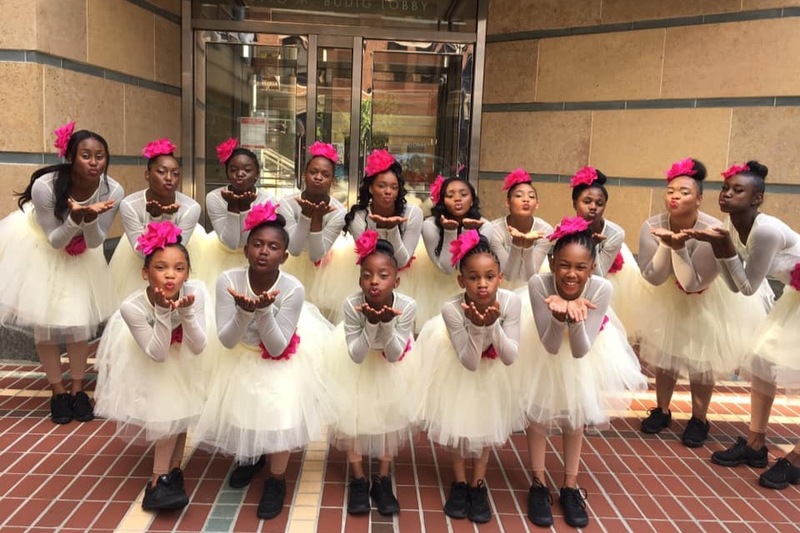 While a donation of $1,500 for one year would provide a girl with 26 hours per week of dance instruction, mentoring, a safe haven and a hopeful future, any amount is appreciated. Even $5 will help us get closer to our goal. Learn more about the Q-Kidz! Makyla Burnam, Former Head captain, says, "Ms. Quicy has taught me everything that I need to know, about Drill, about Dance and about being myself - respecting myself as a young woman." "This 36 year journey with the Q-Kidz organization has been amazing I wouldn't trade one day of it in for a million dollars. I only pray that I continue to see the fruits of my labor when this group of kids grow up and become productive young ladies. I know the struggles they have been dealt because I'm a product of the same environment, but I always let them know; don't get caught up in the cards you were dealt, if they are not good ones deal yourself another hand and keep it moving. The QKDT Studio in the West End.